The host nation will face a tough test from Colombia in Group C, who have to be one of the favourites to take the eventual tournament crown. Juan Fernando Quintero could be the player that sets this group alight. 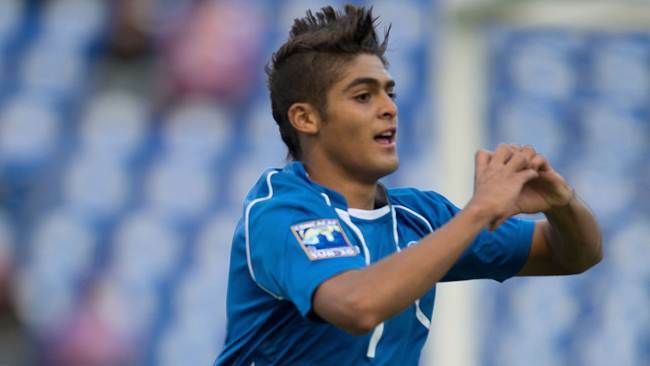 El Salvador have been given a relatively generous draw with Australia also hungry for success. Turkey automatically qualify for the competition as hosts – and I bet Turkish football are thanking god for that. This will be only the second time they have appeared in this competition since 1993. However, the signs are looking positive for Turkey, who believe that they can muster up a special performance this year. The statistics going into the competition aren’t favourable as their under 19 side crashed out in the second phase of the European Under 19 Championship qualifying round after losing to Denmark and Greece. Ibrahim Yilmaz up front provides much experience throughout all youth levels, while Hakan Calhanoglu in the midfield has been playing regular first-team football at Karlsruhe in Germany this season. Alpaslan Ozturk is their main driving force though. The 19-year-old has previously played for Belgium Under 21s and his performances with Beerschot last season attracted the attention of Standard Liege, who offered him a five-year deal. Jairo Henriquez offers El Salvador hope. Regular visitors to The Youth Radar will know a lot about this Colombia side coming into the tournament. Jhon Cordoba and Cristian Higuita should be household names by now, as should the man destined to be their star player in Turkey – Juan Fernando Quintero. The 20-year-old has attracted a wealth of interest from Premier League side’s following his astonishing performances in Colombia’s journey to win the 2013 South American Youth Championship. Quintero was named Player of the Tournament at that competition earlier this season, where he finished second top scorer with five goals to his name. Colombia will be one of the favourites to take the title in this World Cup after their convincing appearance in the South American competition. Our prediction? At least the semi finals. Juan Fernando Quintero articles on The Youth Radar. Ryan Williams joined Fulham from cash-strapped Portsmouth. The Young Socceroos have a strong record in this tournament – notably good performances coming in 1995 and 1981 (’81 being on home soil) where they reached the semi finals – and have only failed to qualify once in the last 20 years. They won 12 out of 14 Oceania Youth Championship tournaments before making the move to the Asian football world, where they have still fared reasonably well. 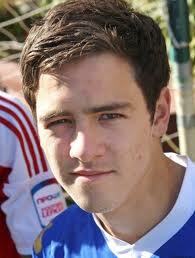 Their most recognizable player in this tournament is Fulham’s Ryan Williams. The former Portsmouth defender looks determined to break into the Cottagers first team this season and will use this tournament as a platform to prove himself. With no disrespect to Asian youth football, it will be interesting to see how Australia perform against more high-calibre and better developed European and South American nations.